In the Ribbon Bar, select View > Show Focused Inbox. 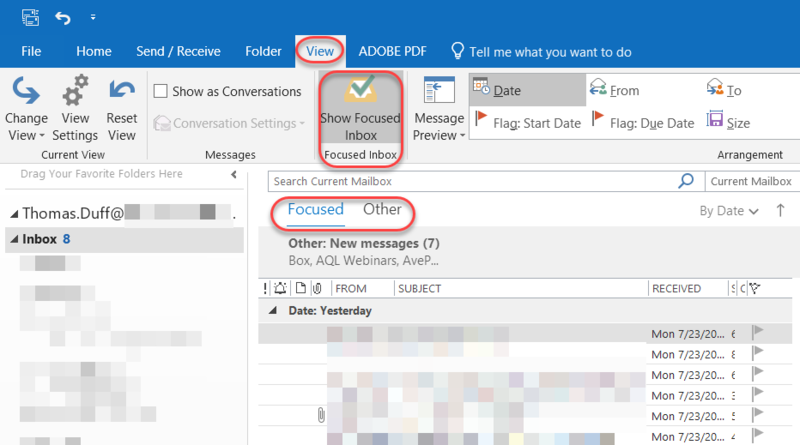 When you do that, you’ll see two headers at the top of your Inbox (Focused and Other), and Outlook will make an educated guess as to what is important (and goes in the Focused Inbox) and what may be less important (like vendor emails). Those go in the Other Inbox.